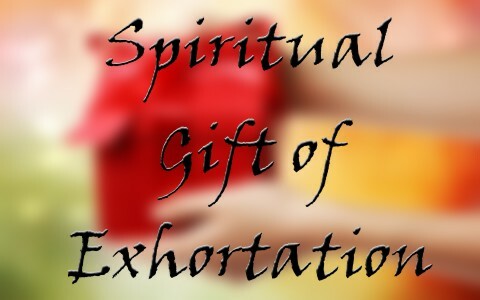 What Is The Spiritual Gift of Exhortation? How Do You Know If You Have It? Have you heard of the gift of exhortation? How can you tell if you have it? What are evidences of having this gift? I love these three things of what I call the “Three E-Migos.” These three are what every believer should be doing for others; edifying others, encouraging others, and exhorting others. Our focus here is on the gift of exhortation but what does the word exhortation mean? The word exhort and the act of exhortation means to encourage, embolden, to cheer on, to advise, and to convey urgent advice. Romans 12:8 mentions the gift of exhortation as it says “the one who exhorts, in his exhortation.” The word exhort is a verb…it is the action or act of encouraging, emboldening, advising, or to cheer on someone or others who need it. This is an action-oriented word. It is also a gift of the Spirit and since we know that everyone has a gift and possibly more than one, there are those in the church with the gift of exhortation and their function in building up the church is to exhort the individual members of the church or to do so collectively. The Greek word used for exhortation is “paraklésis” and by its Greek definition, we can see this is sorely needed in the church. Paraklésis means to call to one’s side,” “to call for” or “summon,” and “to admonish.” Another name for the Holy Spirit is very close to “paraklésis” is the “Paraclete” or in the Greek “parakletos” and means “one called alongside” or “called alongside with another” because that’s what the Holy Spirit does for us. He comes alongside us and helps bring Scriptures to mind and gives us the ability to understand Scripture, so what exhortation is for other believes, the Holy Spirit is for us (although the Holy Spirit is infinitely more beneficial). God gives the gifts of the Spirit for the church’s benefit, not for the individual’s benefit. Paul used the word exhortation in a way that matches the definition of the word. He writes to Timothy “Until I come, devote yourself to the public reading of Scripture, to exhortation, to teaching” (1 Tim 4:13). Paul tells the church at Rome that “I myself am also persuaded of you my brethren that you also are full of goodness, filled with knowledge, able also to admonish one another” (Rom 15:14). Paul says in Acts 20:31 “Therefore be alert, remembering that for three years I did not cease night or day to admonish every one with tears.” Paul also writes “We ask you, brothers, to respect those who labor among you and are over you in the Lord and admonish you, and to esteem them very highly in love because of their work. Be at peace among yourselves. And we urge you, brothers, admonish the idle, encourage the fainthearted, help the weak, be patient with them all” (1 Thess 5:12-14). If you have the gift of exhortation then you will come alongside or summon the brothers and sisters in Christ and be admonishing them, you will be esteeming them highly, you will be encouraging them regularly, you will be advising them when necessary, you will embolden them continually through adversity, and you will cheer them on toward the prize of the high calling in Christ. If you do most or all of these things for the Body of Christ, then you probably have the gift of exhortation. Today there are more Christians attacking one another over non-essentials of the faith than I can ever remember having seen in my lifetime. Instead of building one another up, they are tearing others down. I heard that for many Christians the only kind of exercise they ever get is jumping to conclusions, tearing others down, and running others over. This is exactly why we need this gift in the Body of Christ. Remember that gifts are intended to help strengthen the church, not the individual. God gives the gifts of the Spirit for the church’s benefit, not for the individual’s benefit. Today, maybe I have educated you a bit on the gift of exhortation and even if you don’t have this gift of the Spirit you can still exhort others within the church and outside of the church. We need to be uplifting, encouraging, edifying, esteeming, and most certainly exhorting one another. We need each other in the church. I read that there are around one hundred “one another’s” in the Bible. This shows the critical importance of each member of the body and that each one is critical for the Body of Christ to function efficiently and effectively. Examine your own actions. Do you have the gift of exhortation? If not, then exhort others anyway. Try to be the glue that holds the church together, not the scissors where everyone is getting cut to ribbons. Today, more than ever, we need this gift in the church. What is your gift? Are you using it? I pray you are for the sake of the church and for the glory of God. Previous post: What Does The Bible Teach About Bipolar Disorder?